Well, this is... interesting. 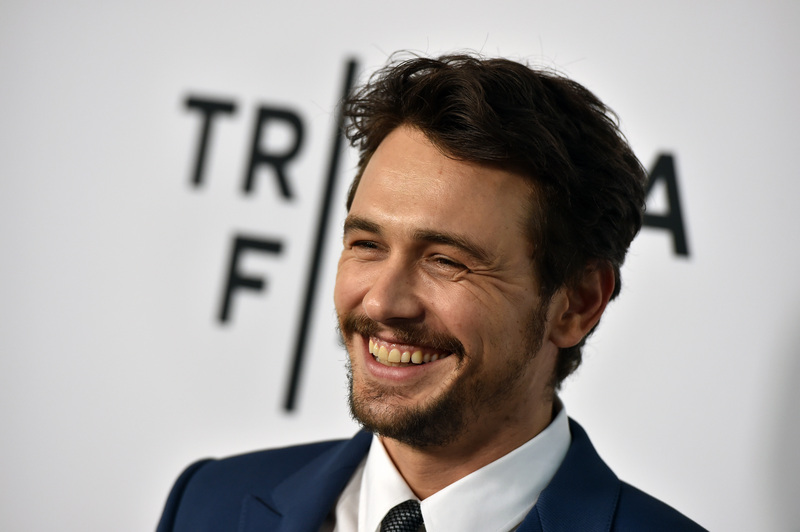 Someone is making a documentary about James Franco, and, weirdly, it isn't James Franco. According to The Wrap, first-time director Lisa Vangellow will be making the documentary, which will chronicle a year in the life of the Oscar-nominated actor. Vangellow, who started the project in June 2013, follows Franco's career in entertainment as well as in academia and the art world. She interviews friends of Franco's, from Seth Rogen to the curator of the New York Museum of Modern Art. (I think that Franco is the only friend these two have in common...) Of course, there's a major question on my mind about this film, and it's not what famous friends will show up to talk all things Franco. My question is: has Franco been making a mockery of his life this entire time for Vangellow's cameras? After all of the controversy that Franco has been through this year, it's natural to consider that some of Franco's more questionable actions were staged as a part of the documentary — or, rather, mockumentary. My first reaction to hearing the news was, oh, thank God, Franco's been a jerk because he's making a mockumentary about his career. I feel so much better! After all, Joaquin Phoenix did it with I'm Still Here — Franco seems pretentious enough to make a statement about fame via mockumentary. Just think about how great it would be if Franco's last year was all for the cameras. That would mean that Franco's attempt to seduce an underage girl would have been all for show! Clearly he's too smart to actually try to get a hotel room with a 17-year-old fan — he probably thinks that's just as slimy as the rest of us do! And Franco publicly dissing Lindsay Lohan? Come on, LiLo and Franco are probably laughing over that together right now. I mean, just look at his Instagram account — no one who takes photos like this takes themselves seriously, right? We don't know for sure whether Franco is punking us or whether he's just such an artist that he's a fascinating subject in his own right, but I sincerely hope it's the former. Franco's gotten a bit creepy for my taste — I'd love it if it's all for show and Daniel from Freaks and Geeks is still hiding beneath it all.